In the world of business, it sure is crucial to get ahead and use all of your resources to keep up and maintain your performance. A business listing, as defined by Wikipedia, is an agreement between an owner of a real estate property or any business whatsoever and a business broker allowing the business broker to act as the the owner’s agent to easily sell his property or his business. 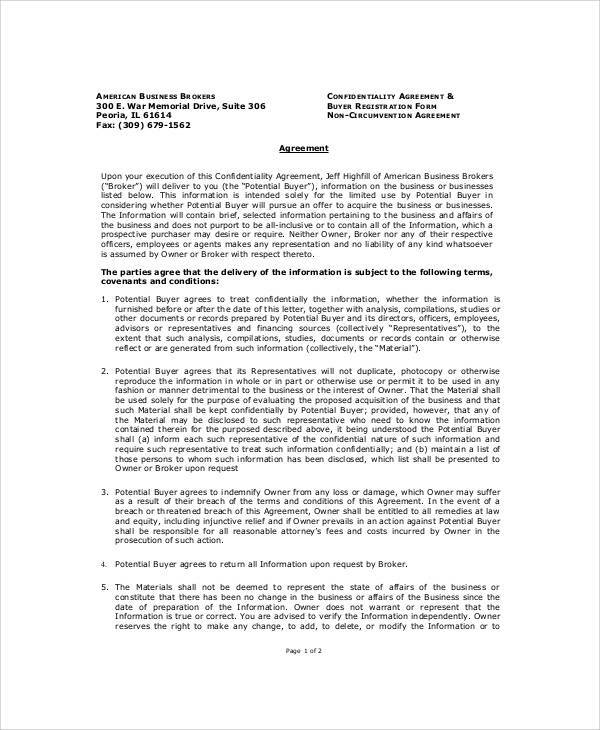 Now, since this agreement by both parties are important, there are actually a number of different kinds of agreements, all of which are legitimate and bound by law for the security and protection of the parties involved. 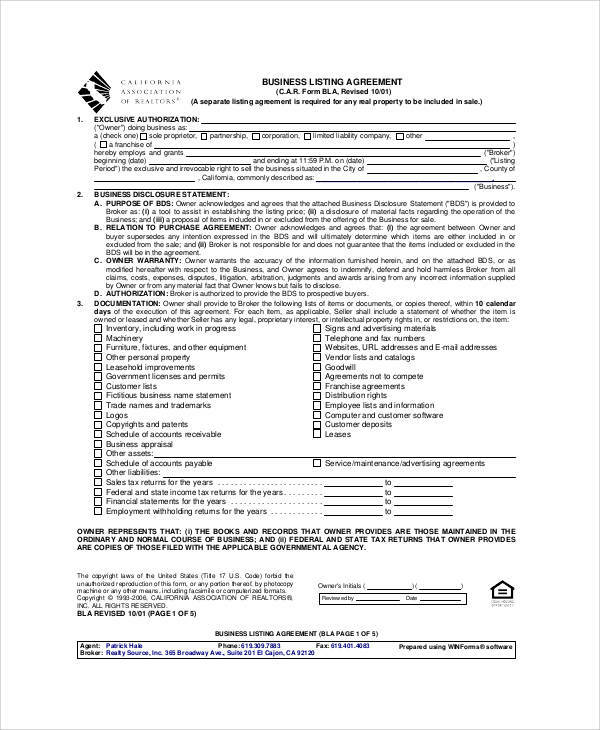 Consider checking out Sample Agreements that you may find useful. 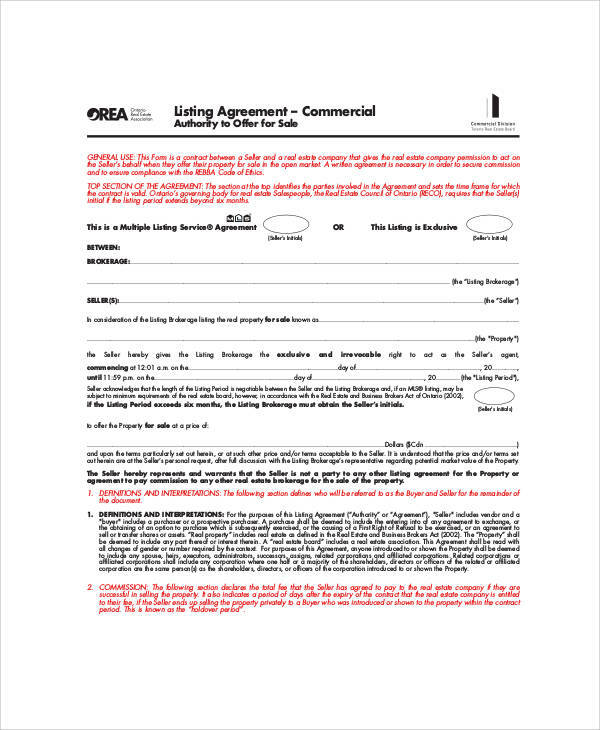 The Exclusive Listing – this type of a business listing agreement is probably the most common and widely used. 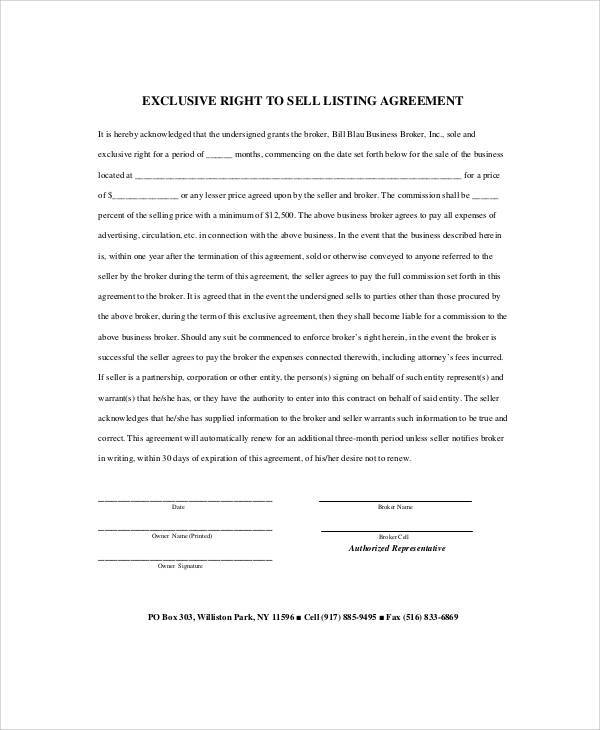 Unlike the listing contract, the exclusive listing grants the business broker the right to act as the business owner’s agent allowing the business broker to rightfully sell the owner’s business, which makes it much easier for the owner to make a sale. The difference is that, in the exclusive listing, the business owner is exclusively granting the business broker the right to sell. So in that case it is only that certain business broker alone who can sell the owner’s business or property. 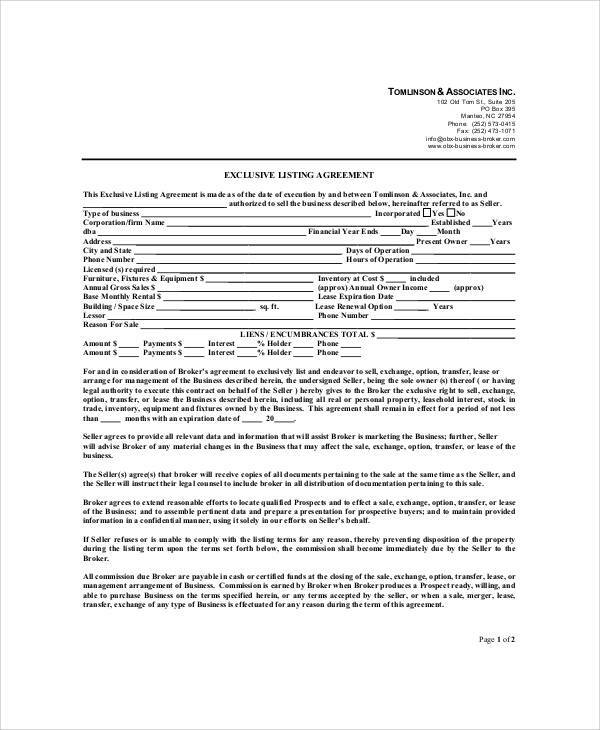 The Open Listing or the Non-Exclusive Listing Agreement – in this type of business listing agreement, you can allow several business brokers to sell your property or business on your behalf, usually without paying any commission whatsoever if you happen to find a buyer who is ready to buy your property or business. Also, according to Morgan and Westfield, if you choose to grant and allow several brokers to sell your property or your business on your behalf, the business broker who gets you the buyer will be the only one who you are going to pay a commission to. 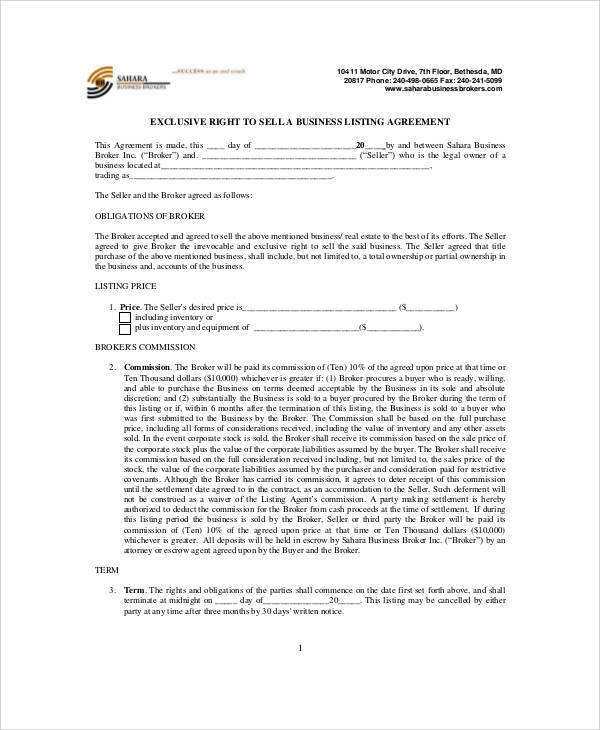 You can also check out this page’s Business Agreement Contracts for further details. 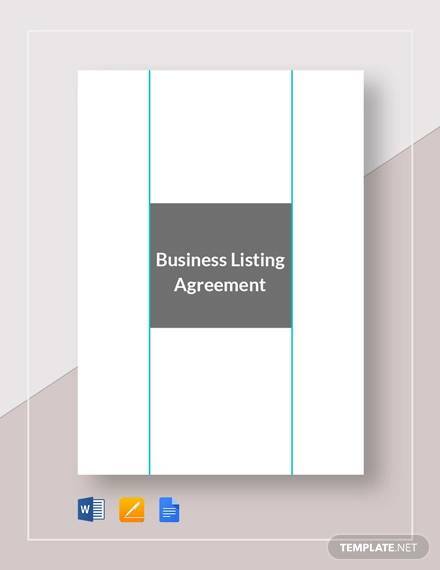 The Net Listing – in this type of business listing agreement, the business broker will set the price usually higher than the purchase price (in which and as long as the owner will accept) of the property or the business. Given that situation, anything above that is being kept by the business broker is his or her commission. It might be higher than his regular usual commission so to speak. 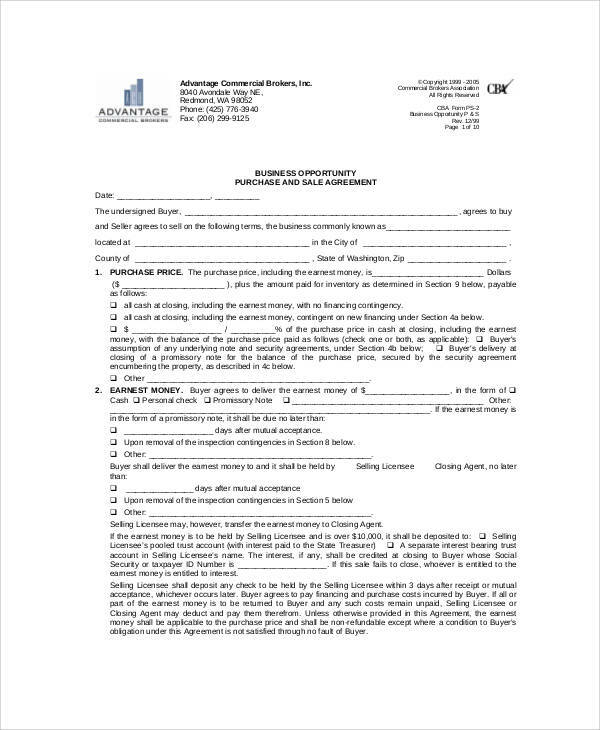 The Listing Contract – this was defined earlier with the business owner and the business broker in which the business owner would grant rights to the business broker who would act as the owner’s agent to easily sell the business that the owner wanted to sell. Also, the listing contract would be bound by law. 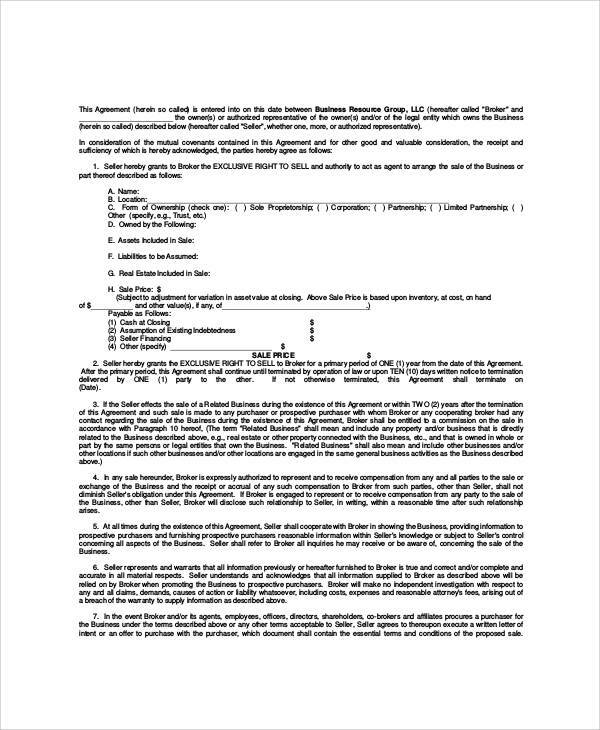 Moreover, you can also consider checking out this page’s examples of Business Investment Agreements for free and which you might find useful and helpful on your commercial journey.